The president of SUNY Albany recently cut funding to the university’s arts and humanities programmes. Gergory Petsko has written a scathing open letter to the president for this decision. For those that might think Petsko is just an angry drama teacher who is mad he’s lost his job – he isn’t. He’s a real life scientist. I’m guessing he has beakers and a lab coat and everything. Some say Joe Hill died on this day. In 1915. He was executed by a firing squad in the state of Utah. One night two men had been murdered in what seemed like a tale of revenge, and Joe Hill got the blame. He didn’t have no reason for killing those two men, but then again he didn’t have no alibi for why he had suffered a gunshot wound that same night. The two men, they said, had been murdered by a man who had got himself shot too. 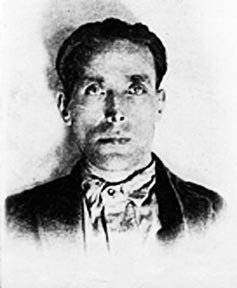 Joe Hill hadn’t been a friend of the state of Utah – he was a Wobblie – a member of the Industrial Workers of the World. The I.W.W. still exists today, and in Hill’s time they were leading the charge for workers’ rights (for little things like the weekend and an eight hour work day). Hill served as the I.W.W.’s songsmith – he took old gospel standards and turned them into worker anthems. Unfortunately, we don’t have a time machine to go back and find out the truth about Joe Hill. But many folks believed then, and many folks still believe now, that the trial of Joe Hill was a farce. That he wasn’t guilty of no murders, but he was being blamed because he organized workers, and that meant less money for the Big Wigs, Fat Cats, and those otherwise involved with getting rich off the poor. They saw their chance to get rid of Hill and they took it. And why didn’t Hill have an alibi? Well some would tell you that Joe Hill was in the arms of a married woman, and revealing the affair would have ruined her life. So he gave his life to save her. But some say Joe Hill didn’t die that day. And some sang songs about him. Here’s a few of ’em. Look familiar? Here you have a formula that could apply to many, many, essays written in university. Turns out they all may be by the same person. When people finish graduate work in history, they usually get a job at a university…or a library…or heck, they could just write a blog. But every so often, or at least this once – a history graduate will use the topic of their thesis to help inform their own songwriting and performing. It helps, of course, when the subject of your thesis was a Soviet rockstar. It’s New Album Release Day again, and F&M are back with a new album today called Sincerely, F&M. I know what you’re wondering and yes – it comes with its very own winelist. I sat down in Internetland with F&M frontlady (and history graduate) Rebecca Anderson to ask her about the new album, touring across Canada, and a guy that she learned about back in the USSR. Categories: Music from America's Hat, So Russell...what do you love about music? Anybody that ever went to Red Deer College in recent memory probably had Jim for at least one class…Or met him in the Farside for at least one pint. Jim is, of course, Dr. James Martens, but don’t ever call him that, even if you’re a fresh-faced kid straight out of high school stuttering through a conversation with him about reggae music and finding out that you can write history papers about stuff you’re actually interested in. So much for law school. Before Blink 182, Nirvana, Rancid, Green Day, Pennywise, NOFX, or the Offspring, there was D.O.A. Before bands and the wider independent music community created a network that enabled bands to survive on the road and (almost) make money, there was D.O.A. 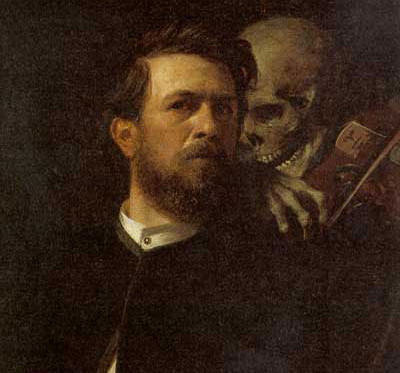 Before it was trendy for musicians to support environmental causes because it could increase their own popularity, there was D.O.A. Before the Iron Curtain fell and bands didn’t play in Eastern Europe, there was D.O.A. 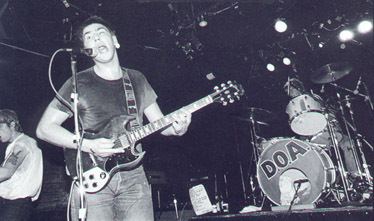 On the frontlines of punk rock since the late 1970s, the Vancouver band D.O.A. has been playing music, touring the world, supporting political causes, and developing alternative cultural institutions….mostly all out of a broken down van. D.O.A. has gone through many changes over the years, but the one person that has stayed steadfast, loyal and true is Joey “Shithead” Keithley. Not only that, but he’s written a book.